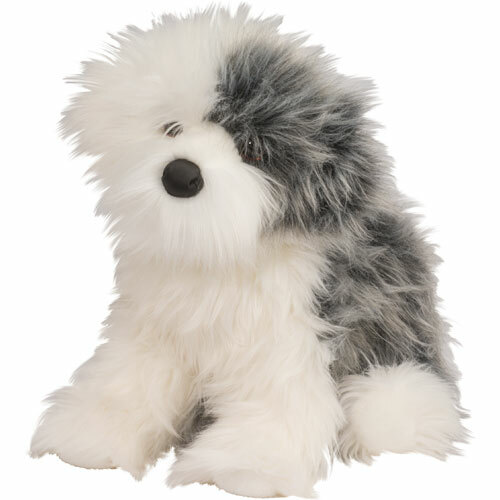 A Douglas plush puppy is an heirloom, with enough character and quality to be a best friend for years to come. Willard, the English Sheepdog, is 16” long, beautiful and extra soft, fluffy, long breed-specific fur. Since 1956, this family-owned business has lovingly designed these irresistible companions, insisting on the safest materials and highest quality workmanship. The fur is lush, the eyes are expressive and the love affair begins right from the first cuddle. And rest assured, every Douglas pup comes fully housebroken. From Douglas Toys for all ages. Recommended for ages : 0 to 15.